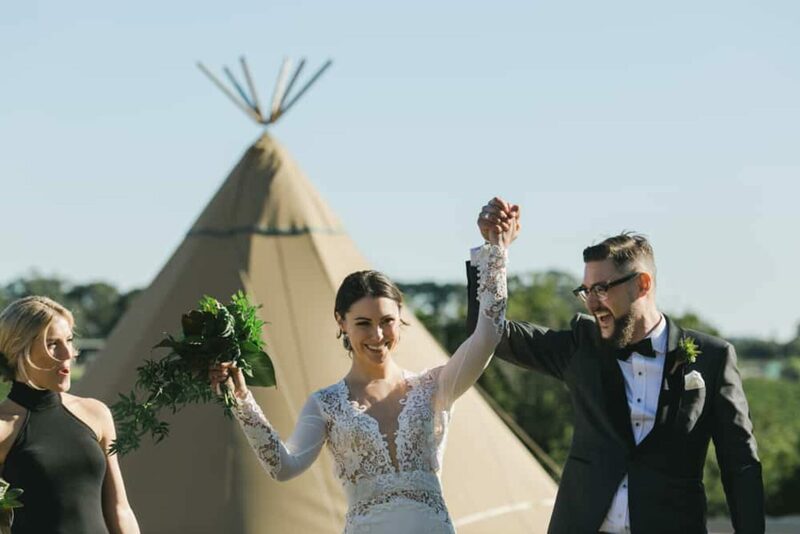 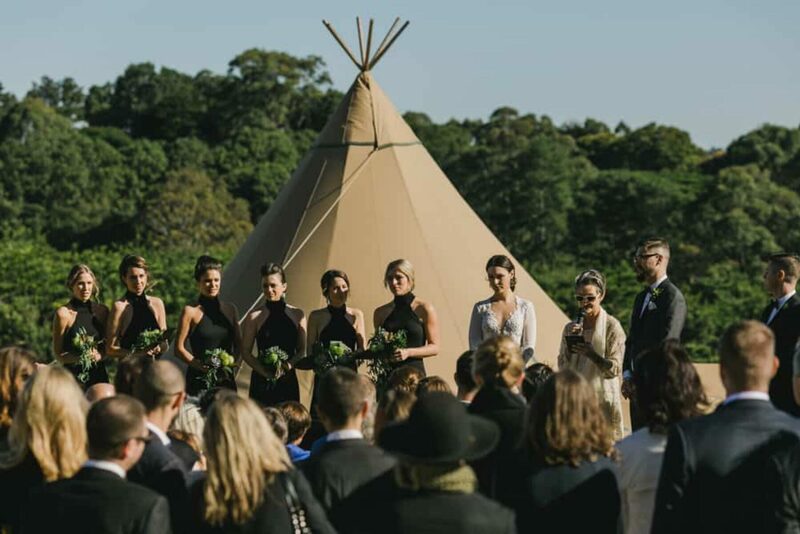 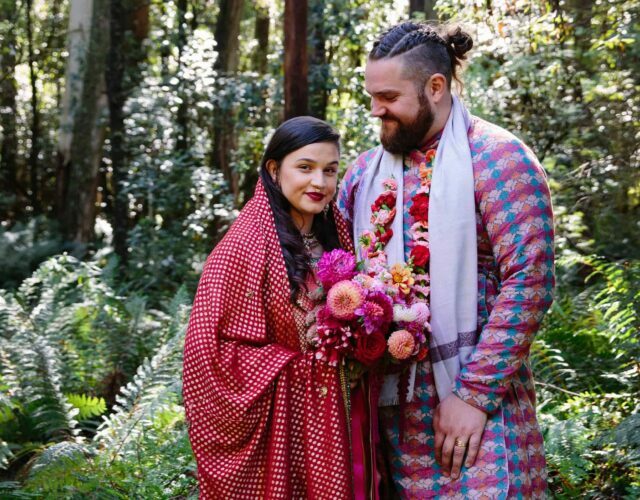 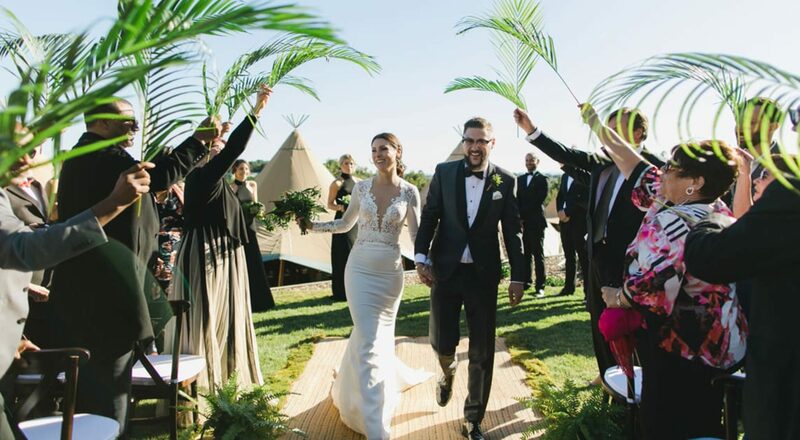 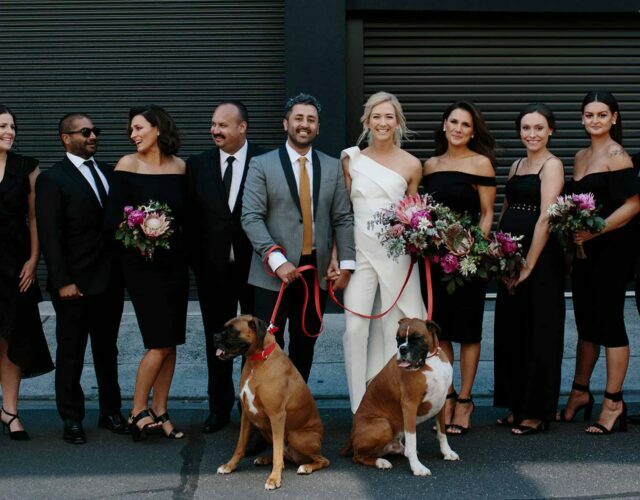 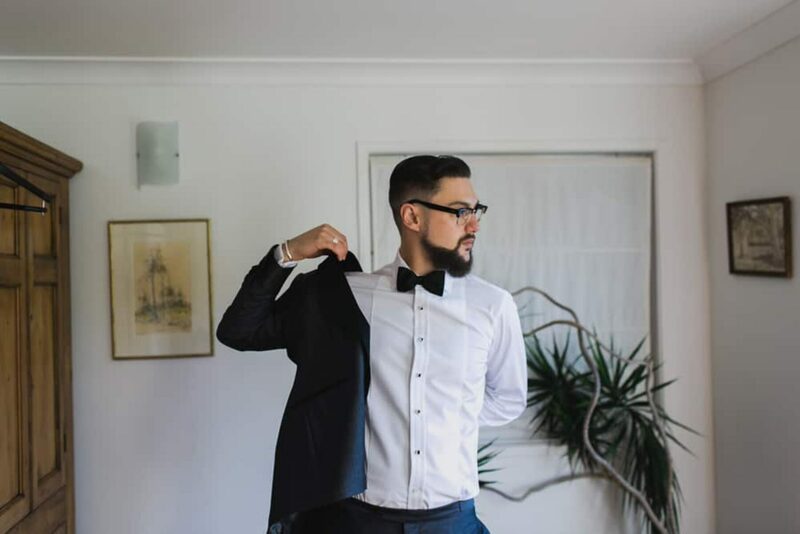 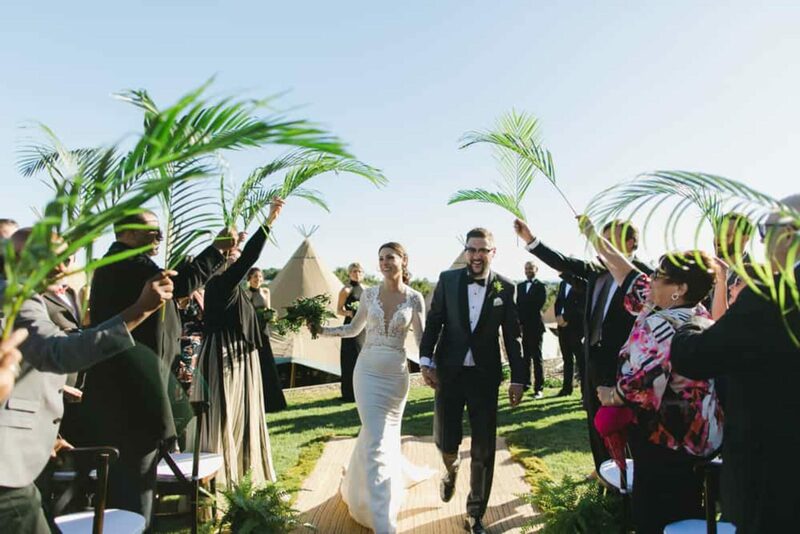 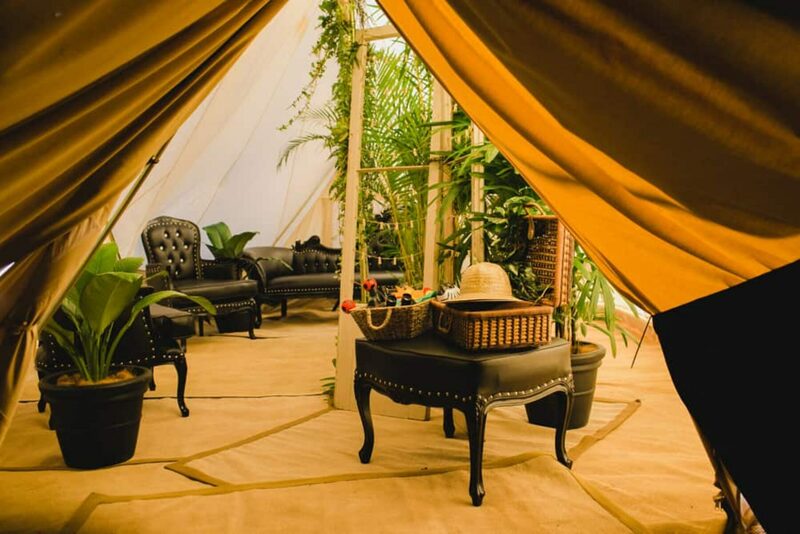 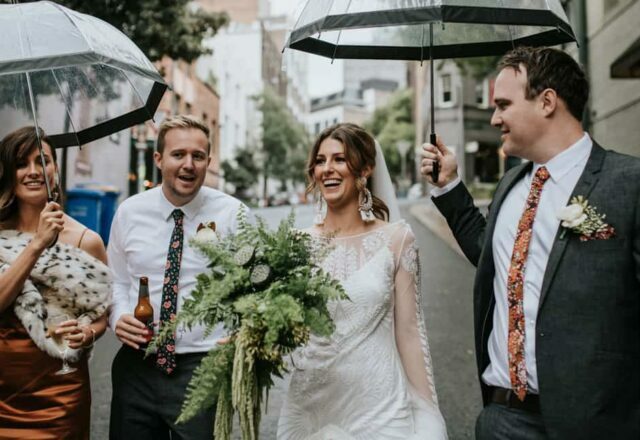 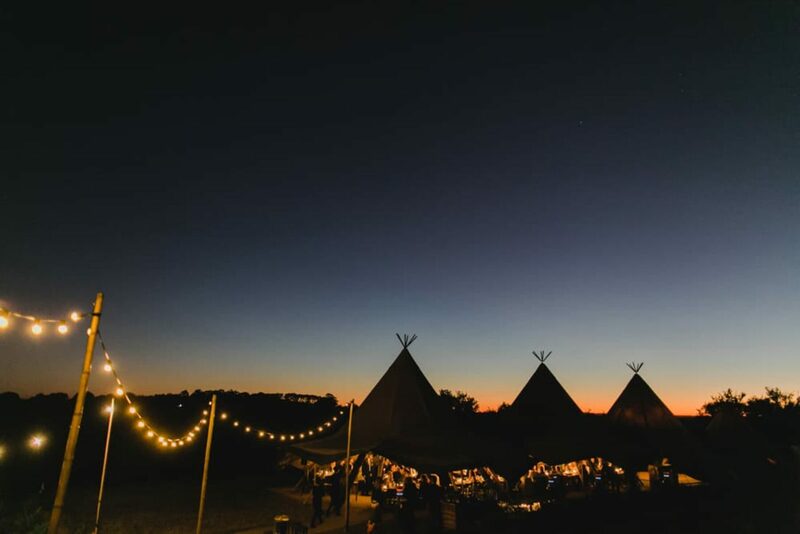 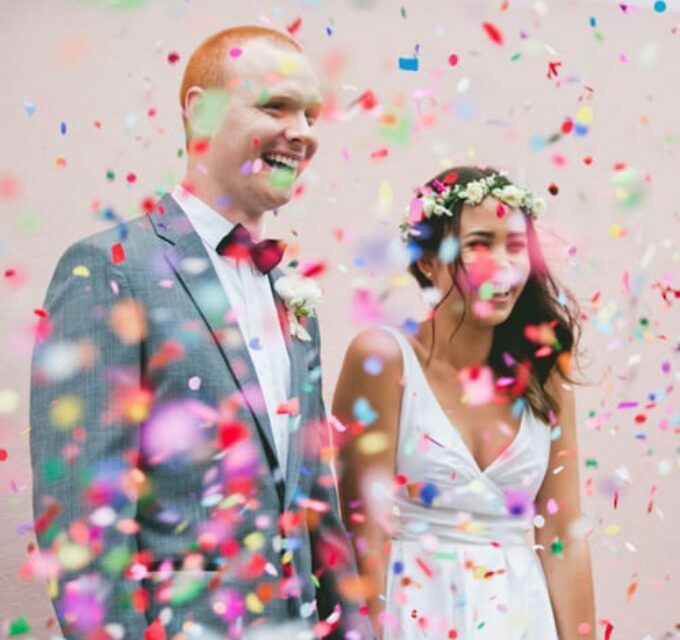 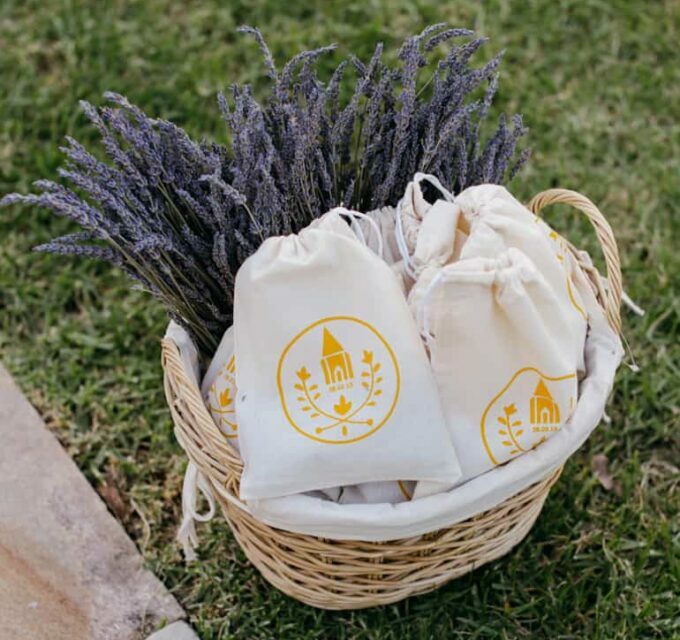 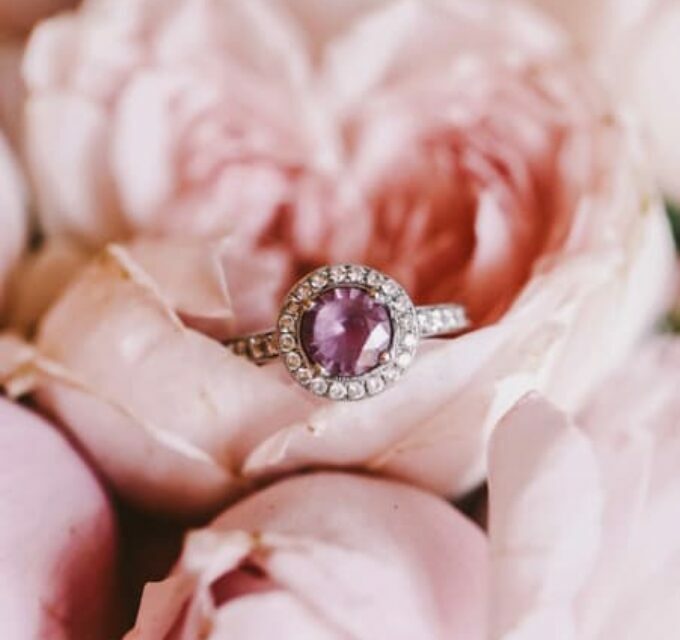 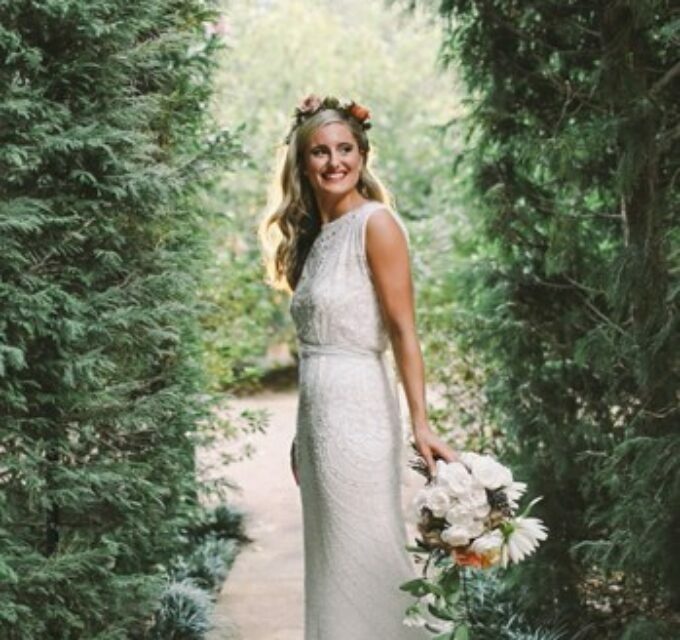 If you’ve ever wondered whether a wedding without flowers could work, John Benavente’s images of Myles and Amy’s lush tipi wedding will have you convinced. 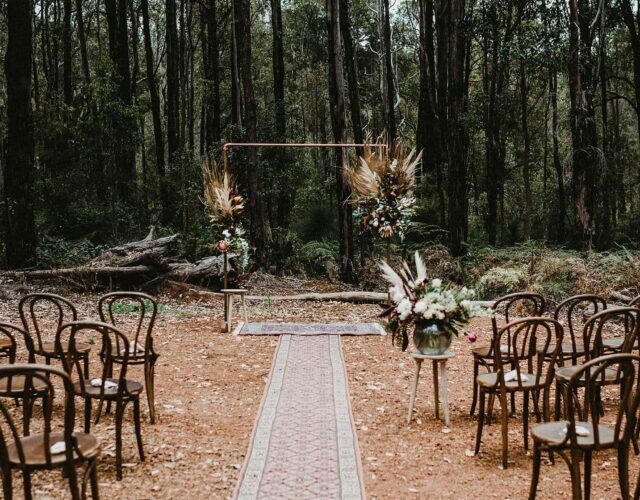 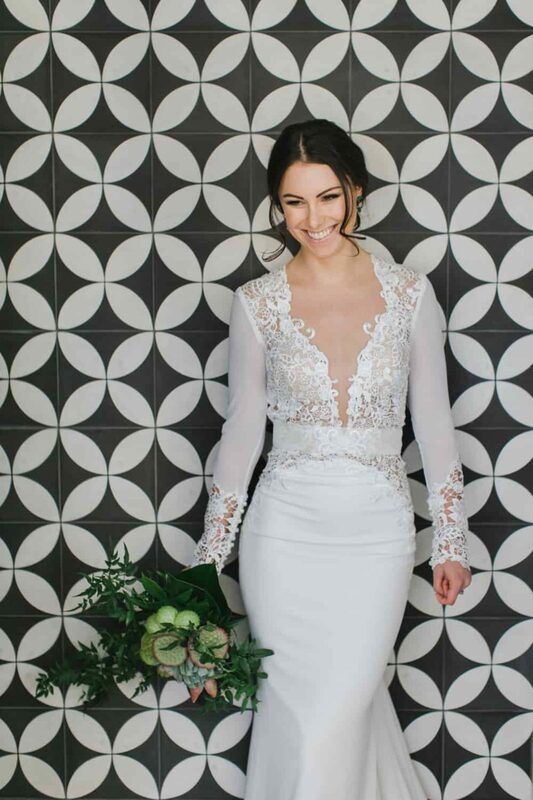 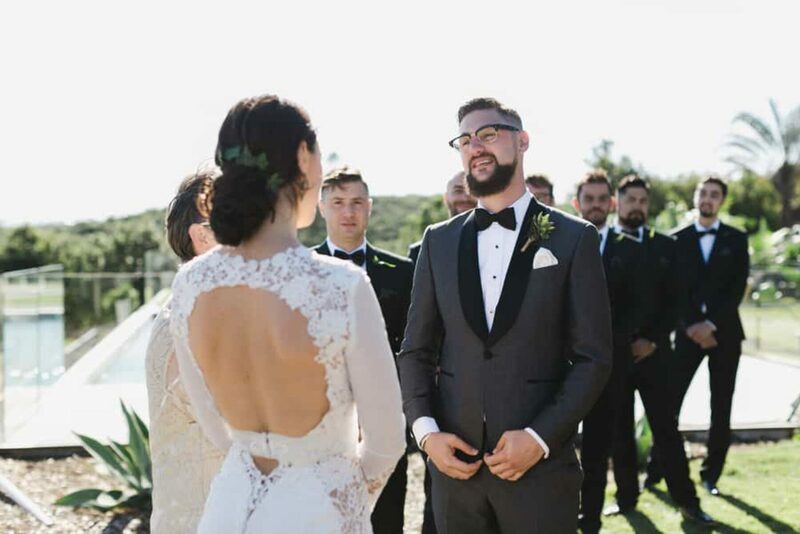 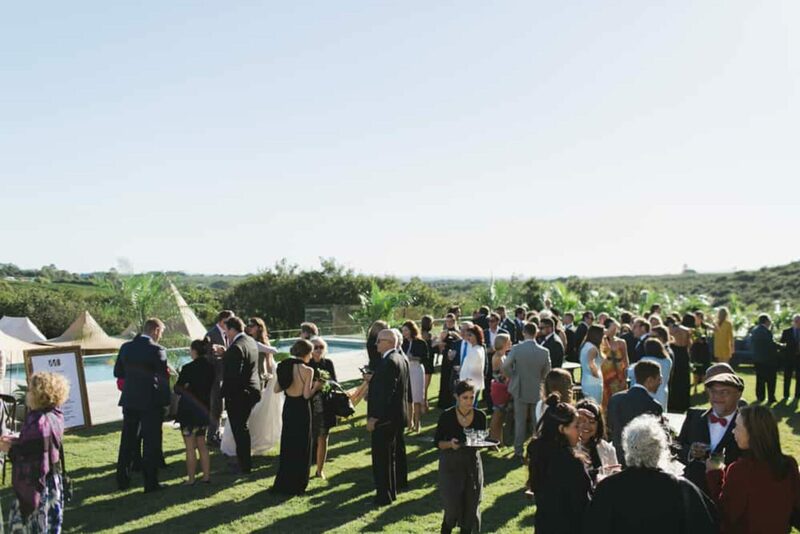 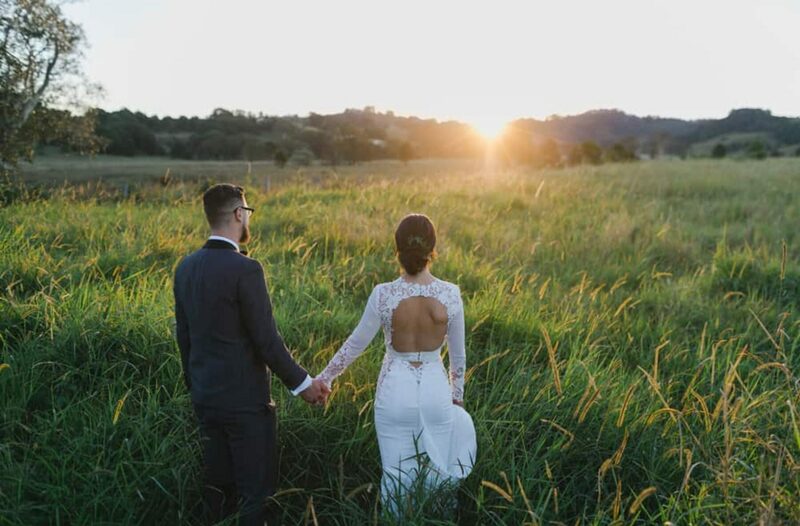 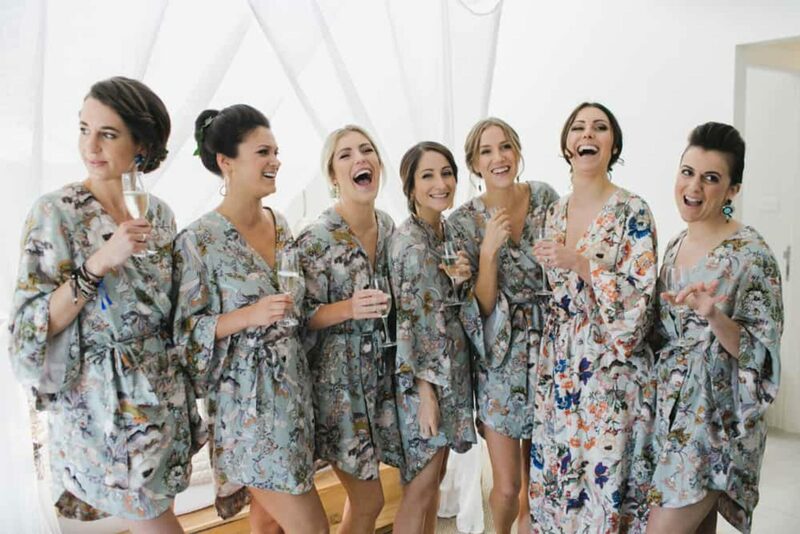 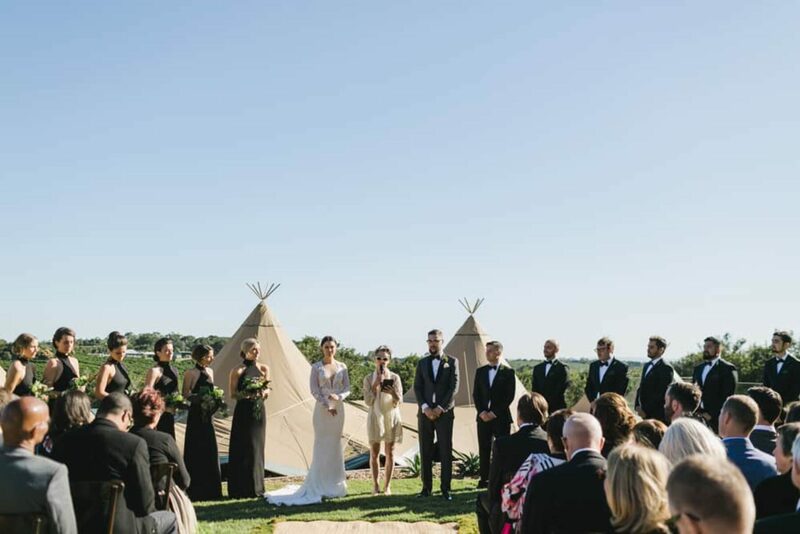 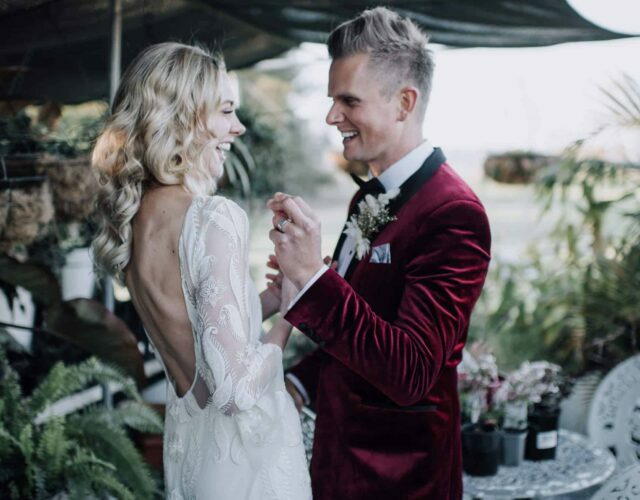 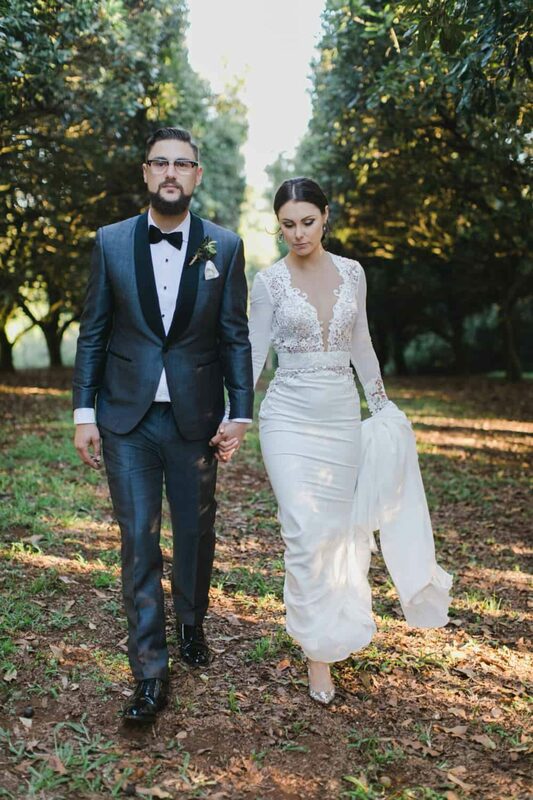 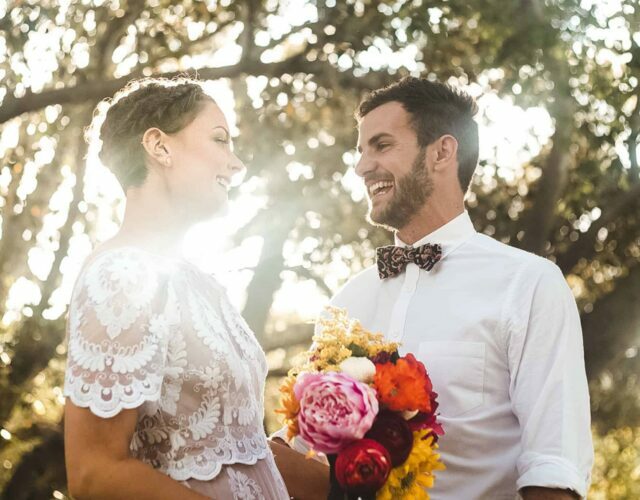 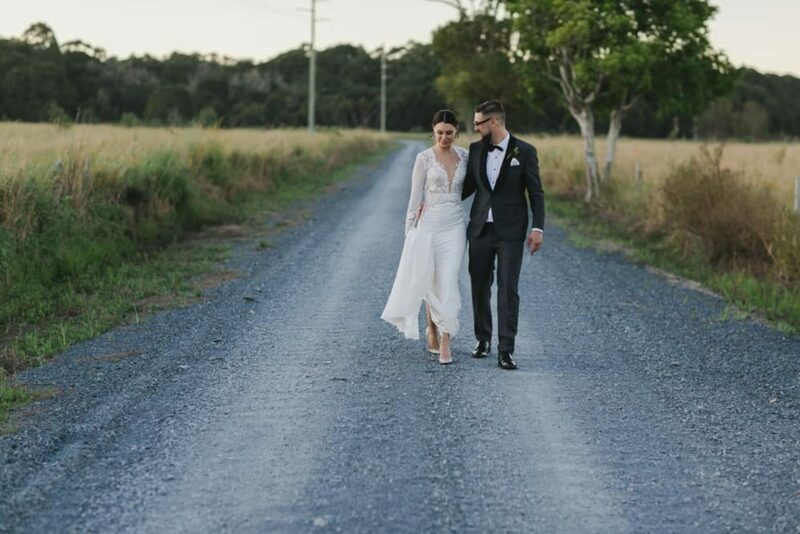 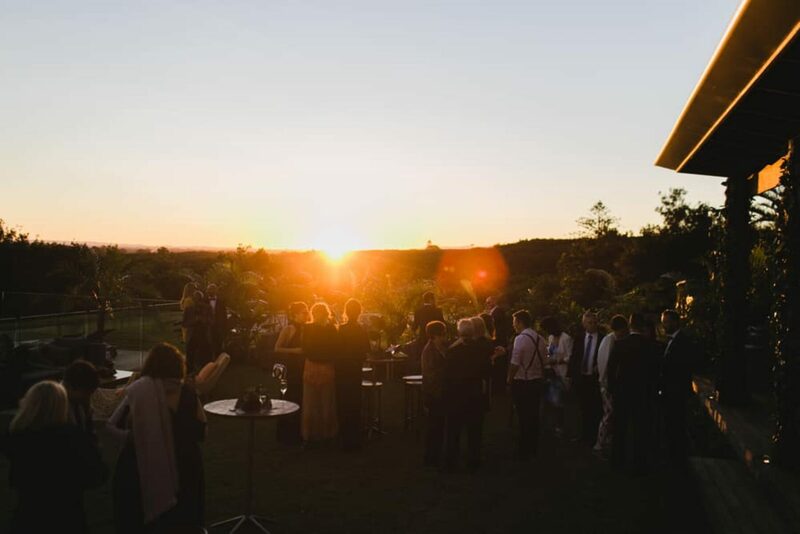 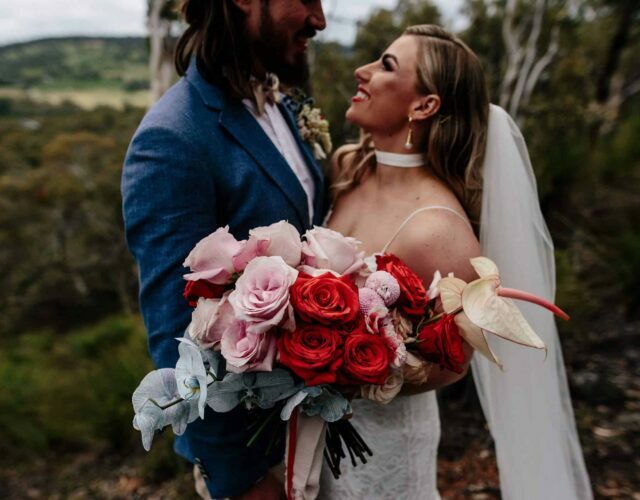 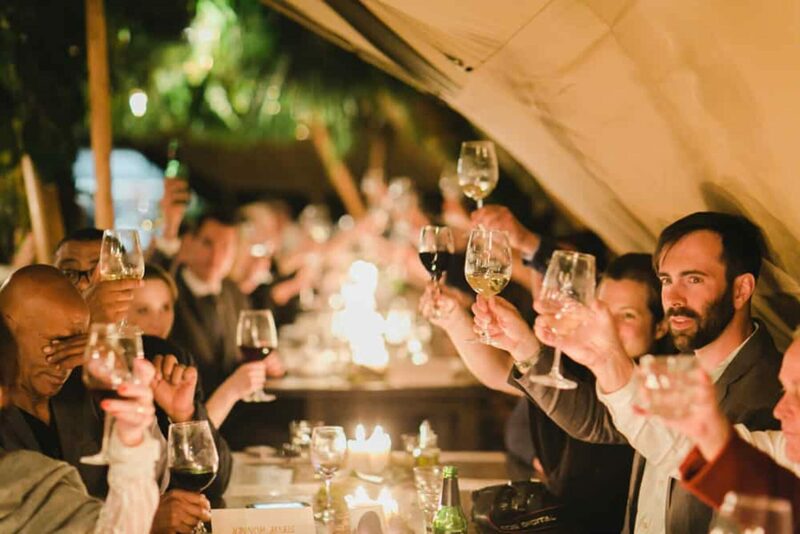 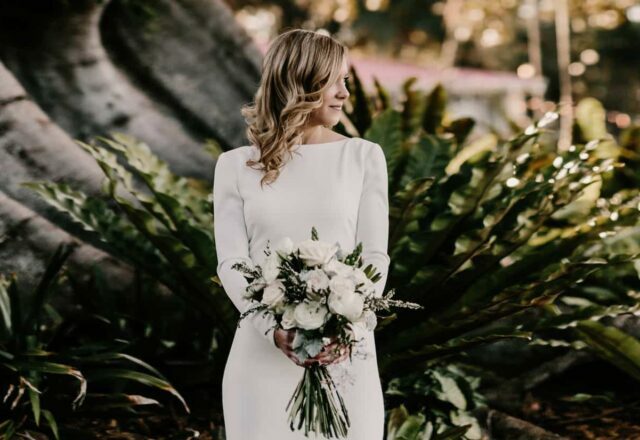 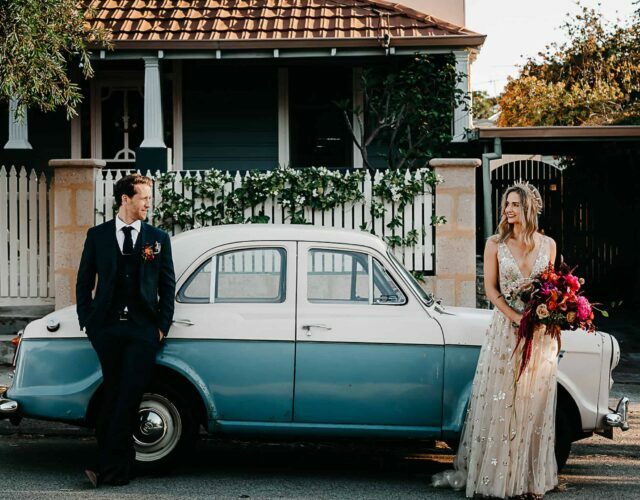 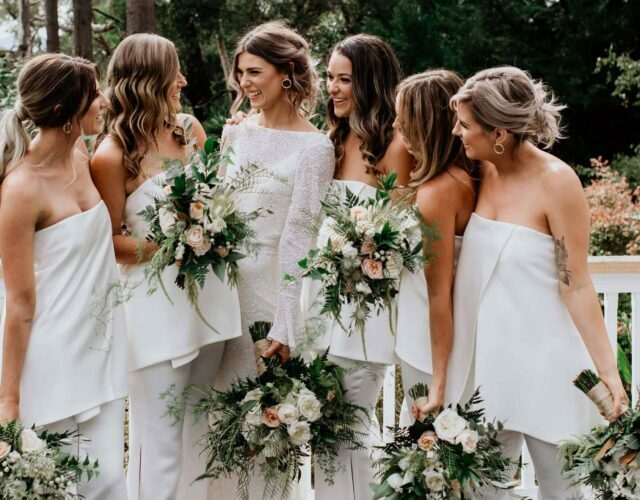 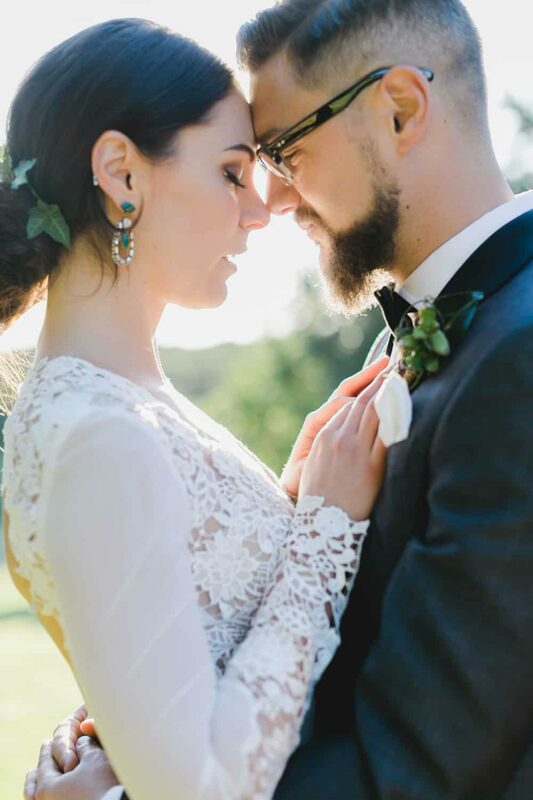 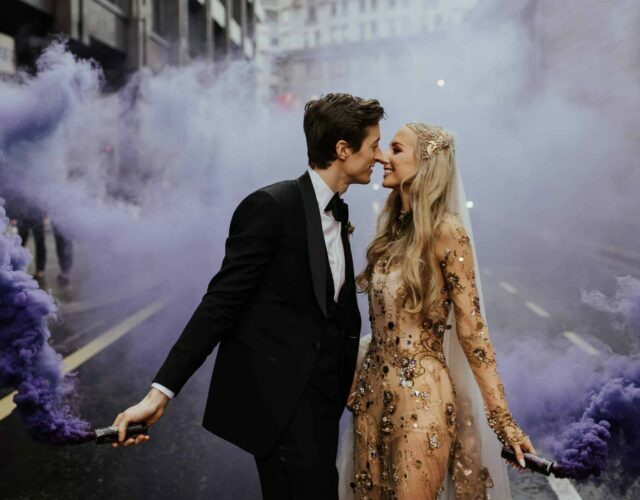 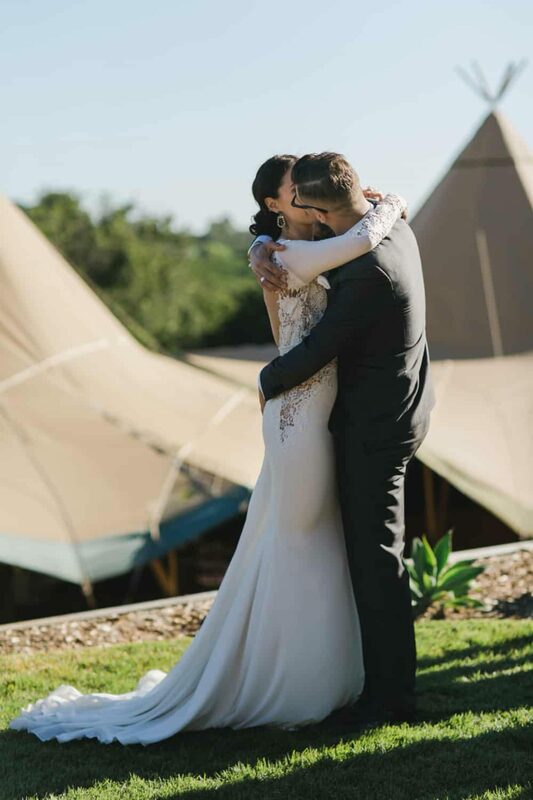 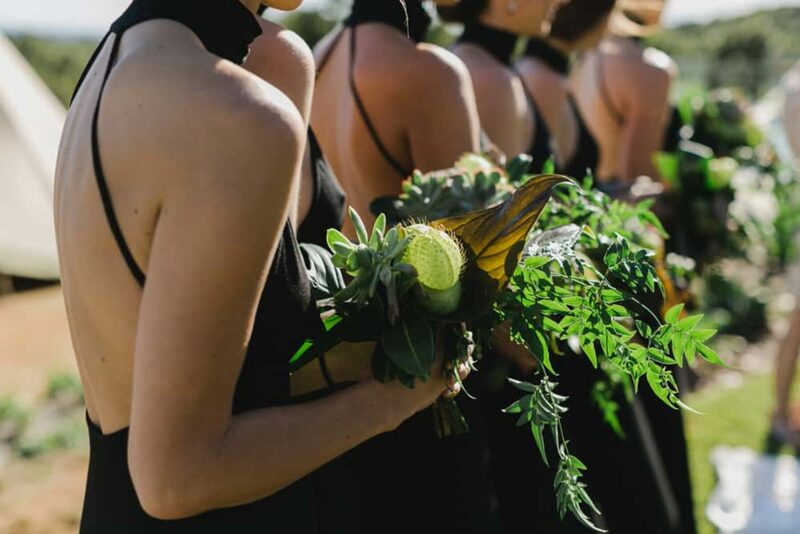 The Grove at Byron Bay was the setting for both the ceremony and reception which were brought to life by Byron Bay Weddings. 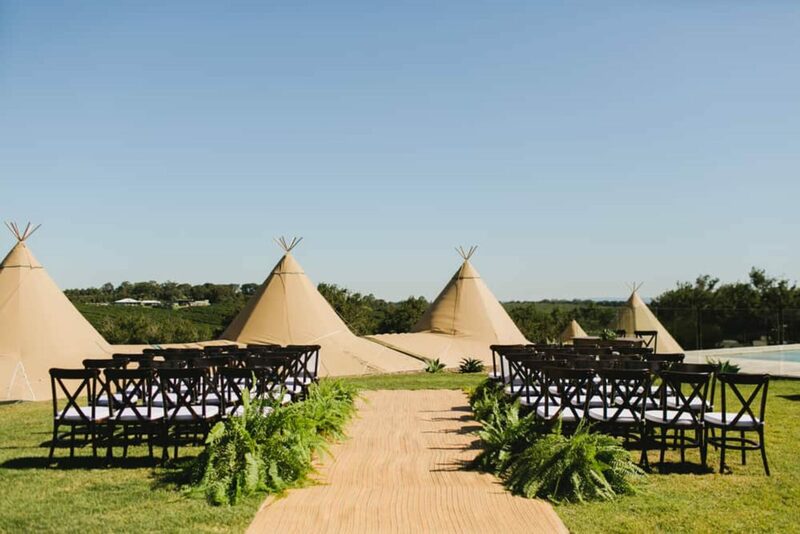 Luxury tipis nestled amongst the lush green hinterland not only provided a unique backdrop for the ceremony but also housed a reception set-up with a distinct rainforest vibe. 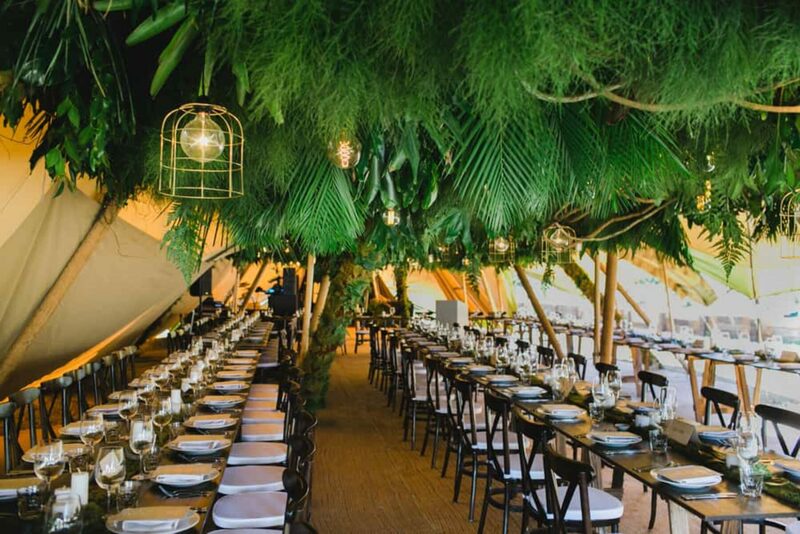 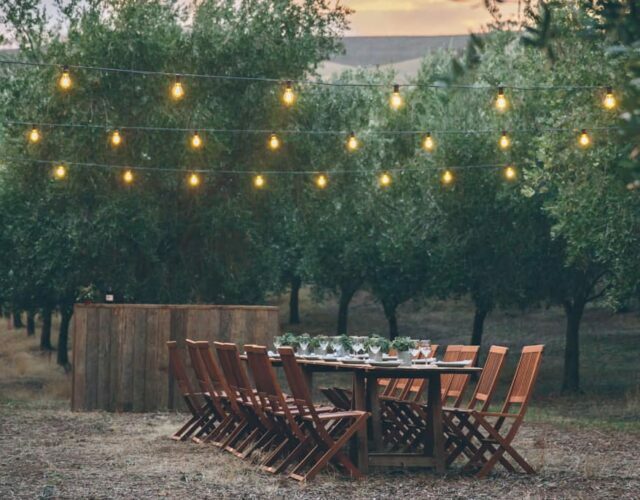 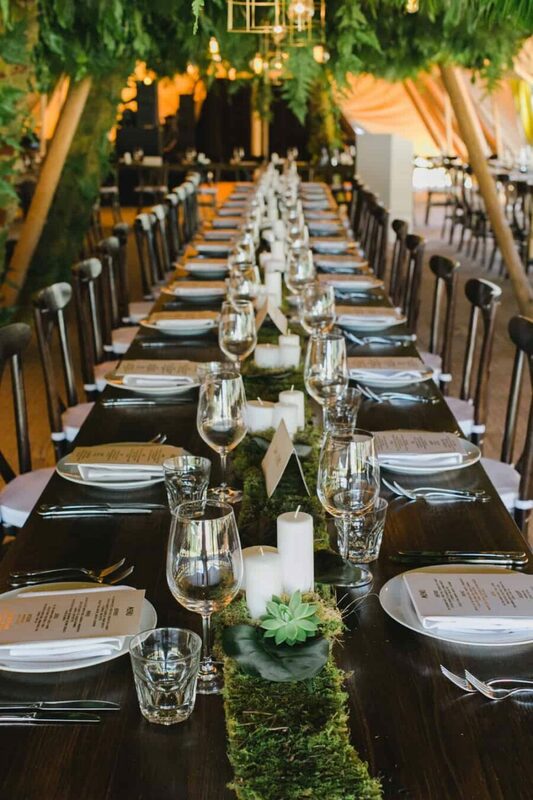 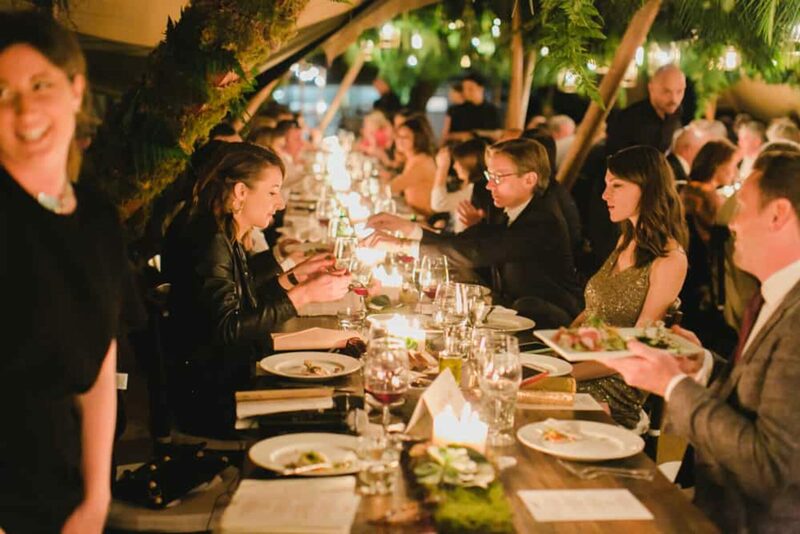 Long wooden tables, crossback chairs and abundant foliage in the form of hanging installations and table adornments by Beautiflora created a rich green sanctuary. 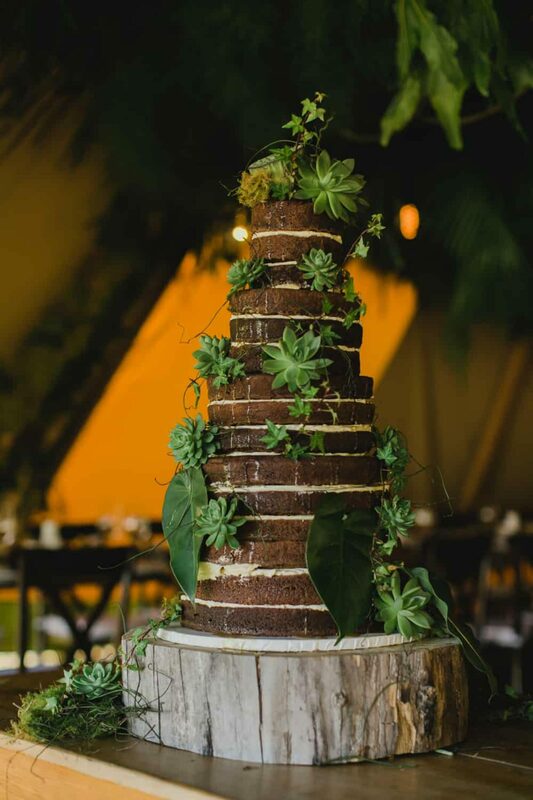 Even the naked cake by Let Them Eat Cake was decked out in greenery. 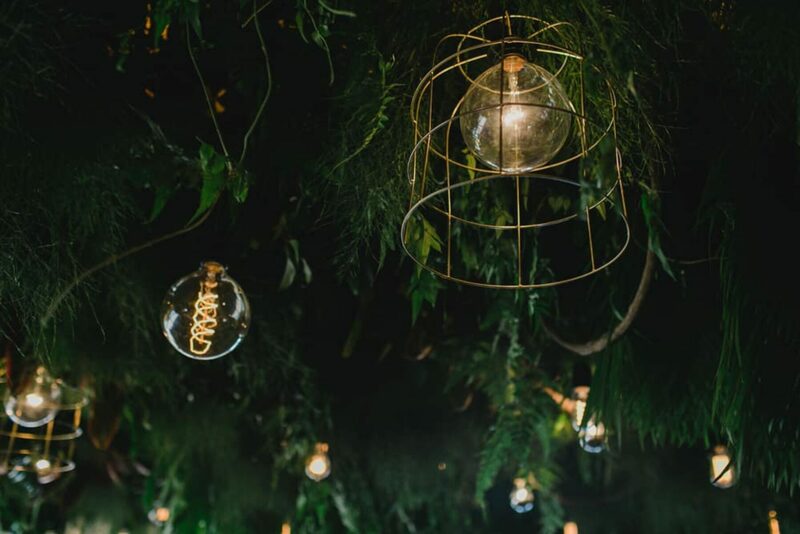 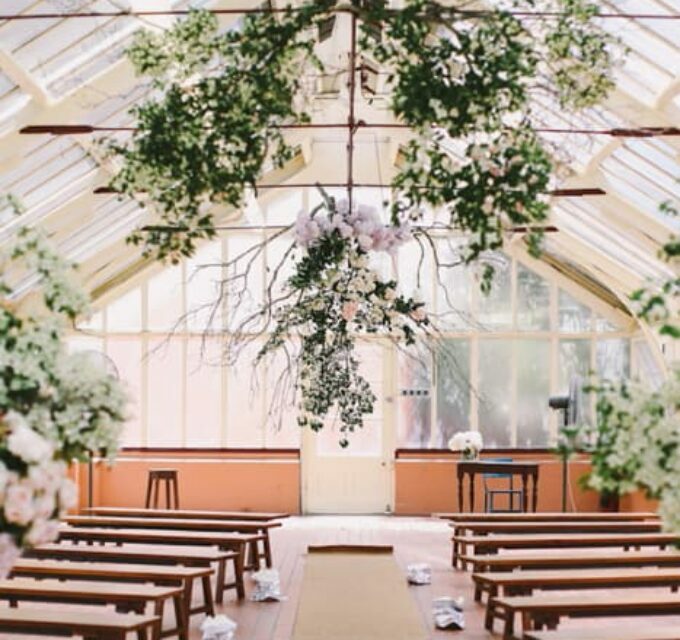 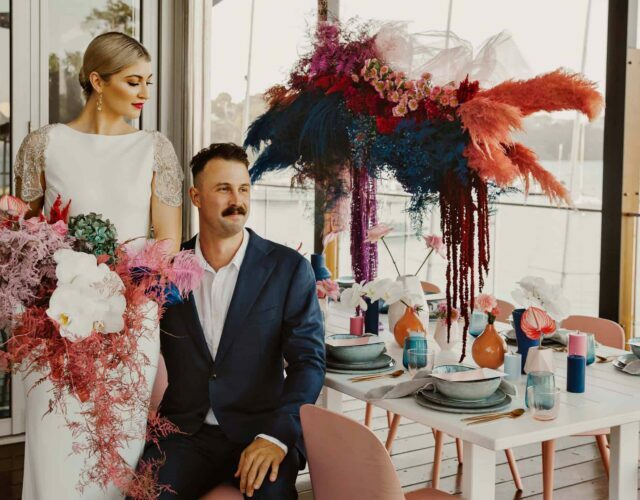 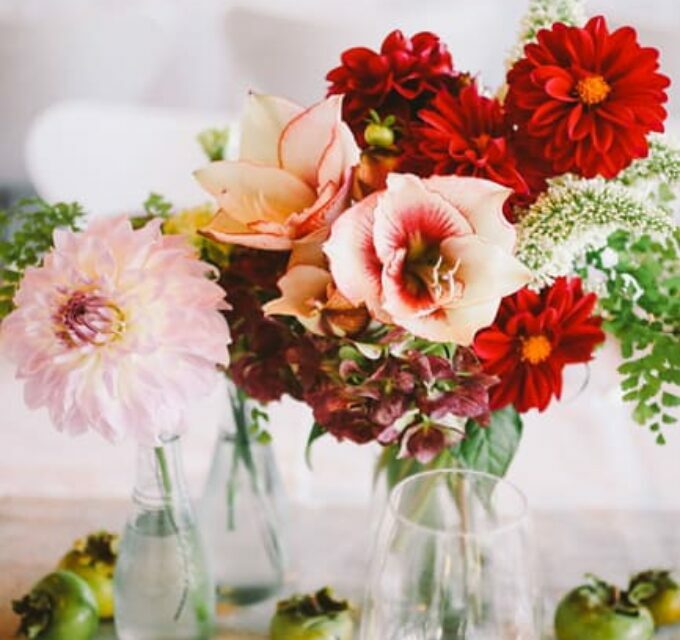 Hanging foliage installations and table adornments by Byron Bay floristBeautiflora created a rich green sanctuary. 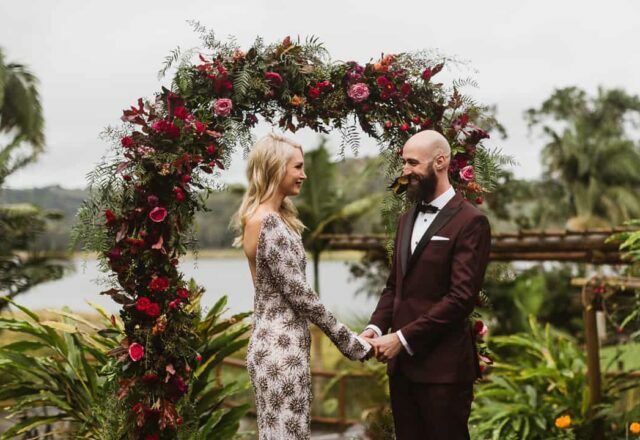 Amy's mind was made up from the get go... no flowers! 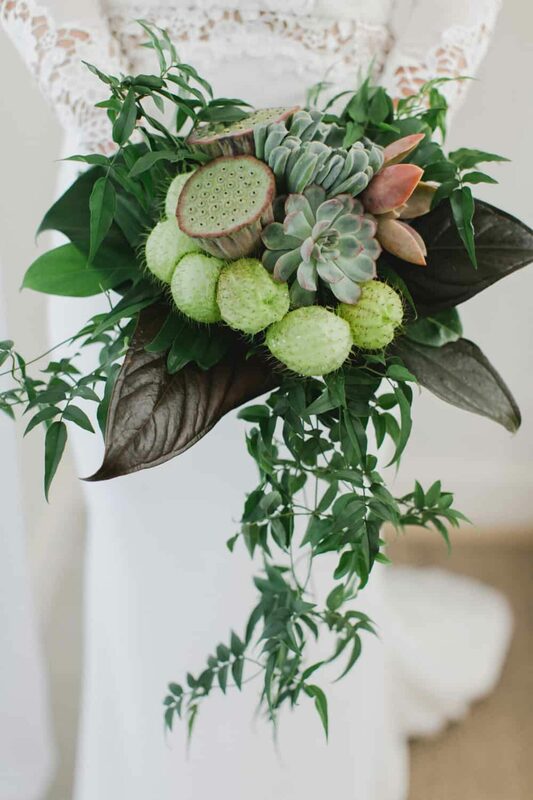 We're loving this lush green bouquet of tropical greenery, lotus pods and succulents by Beautiflora. 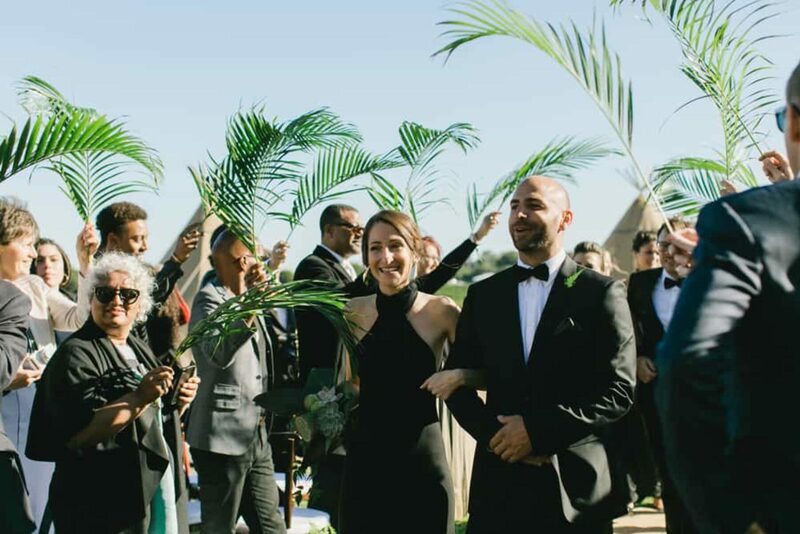 In keeping with the rainforest theme, the newlyweds' guests created palm frond canopy for the aisle exit, in place of the confetti toss. 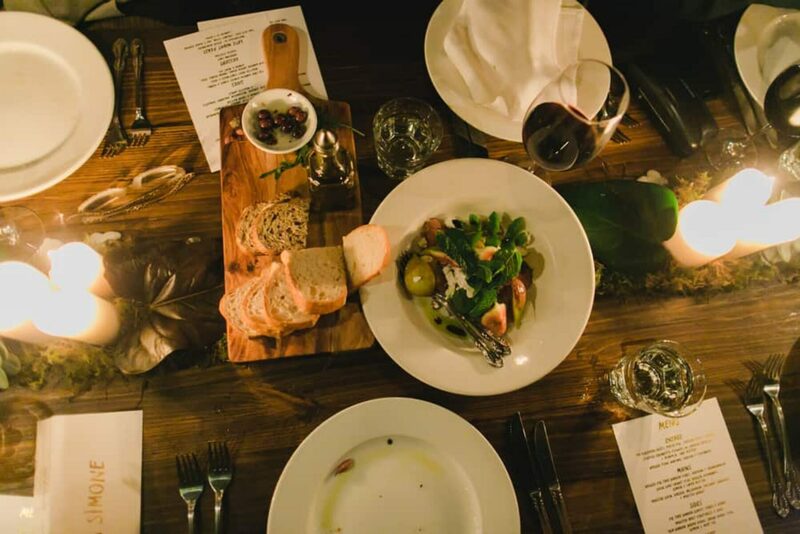 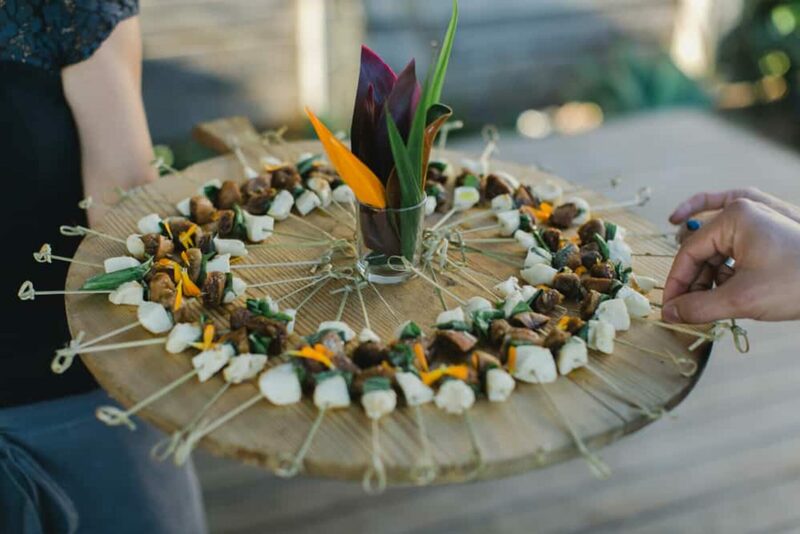 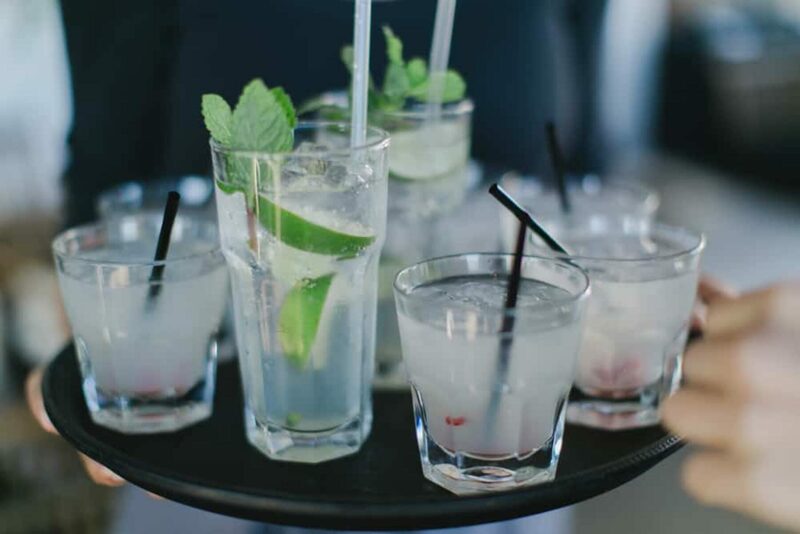 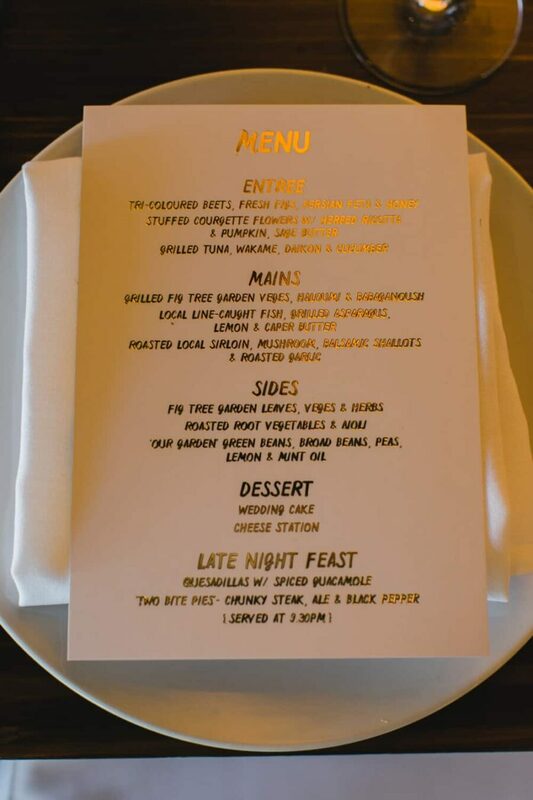 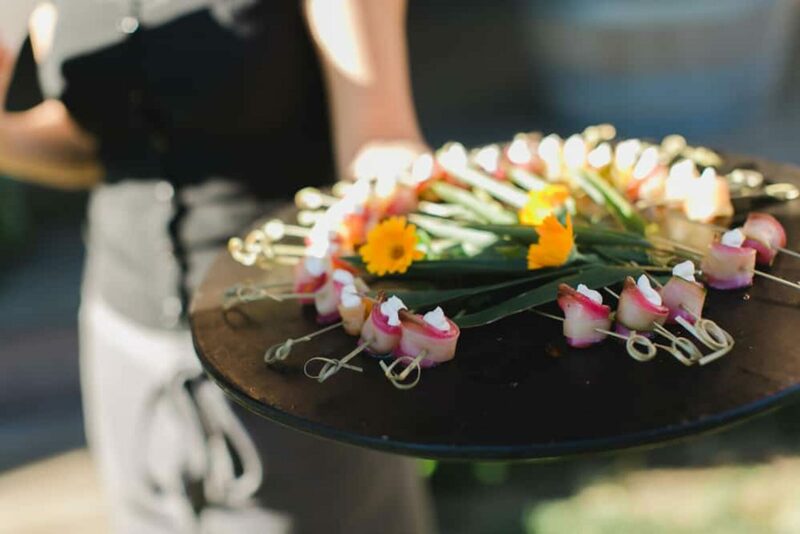 Delicious contemporary canapes were dished up by Byron Bay's Fig Tree Restaurant. 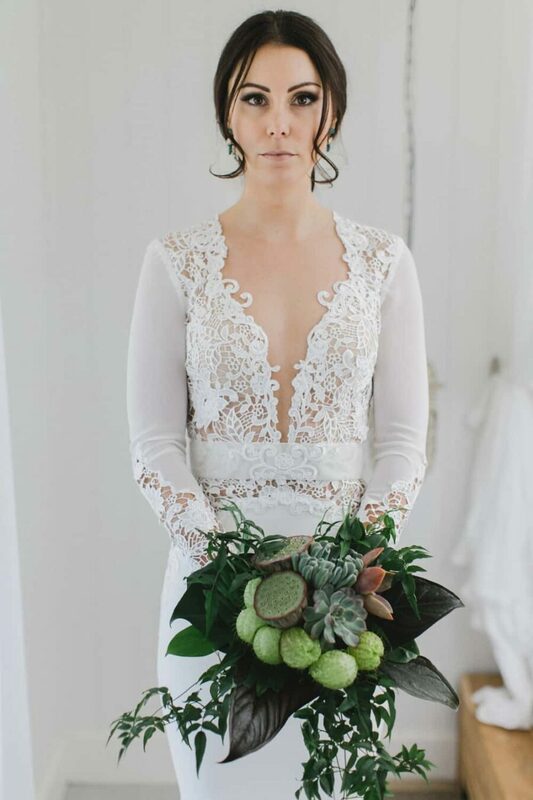 Let Them Eat Cake crafted this epic naked layer cake, dressed in tropical greenery and succulents. 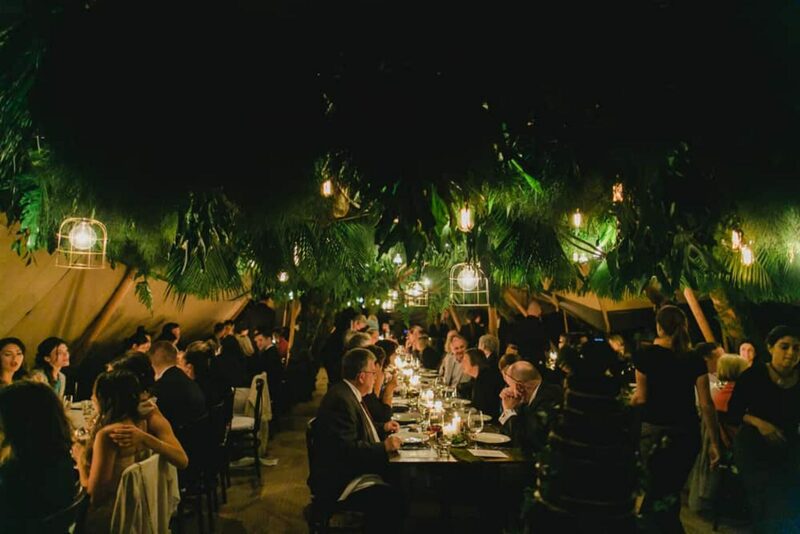 Best wedding in the beach! 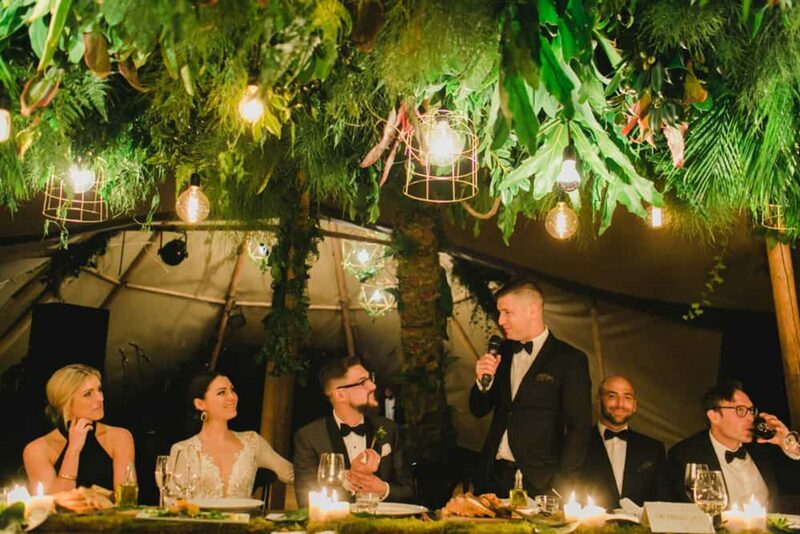 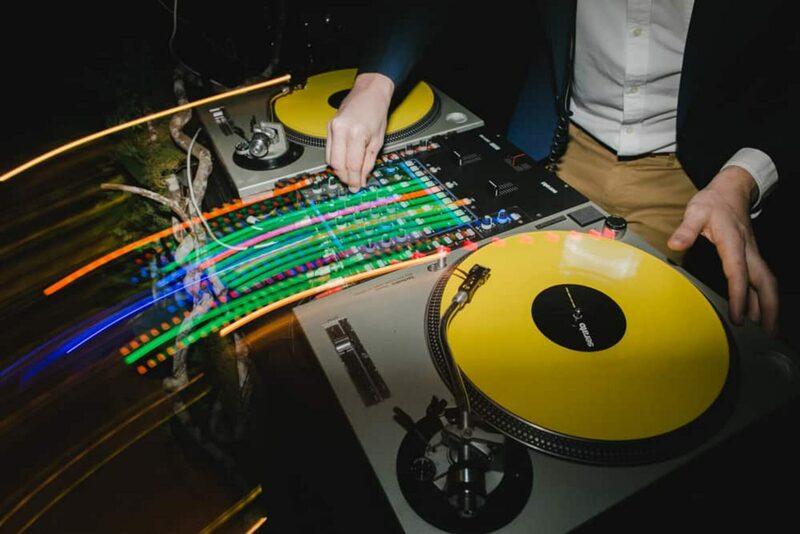 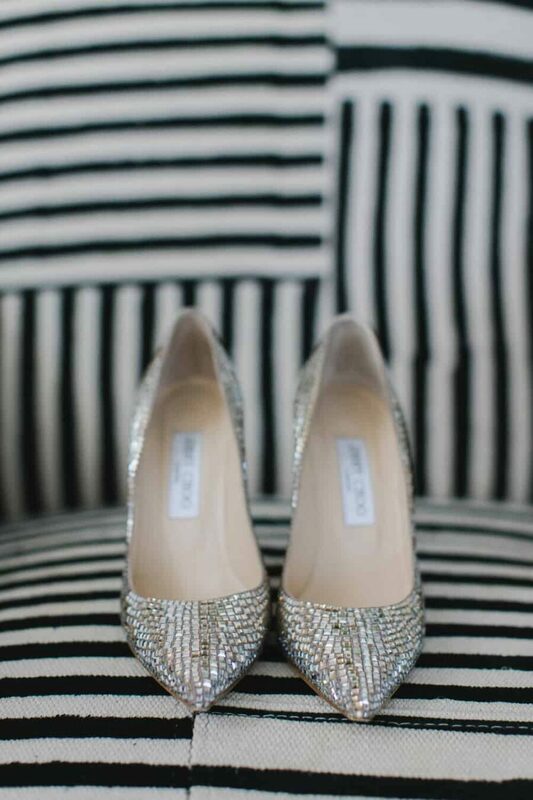 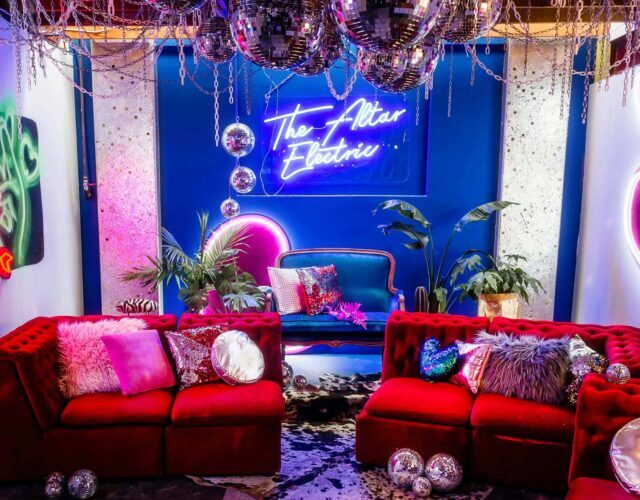 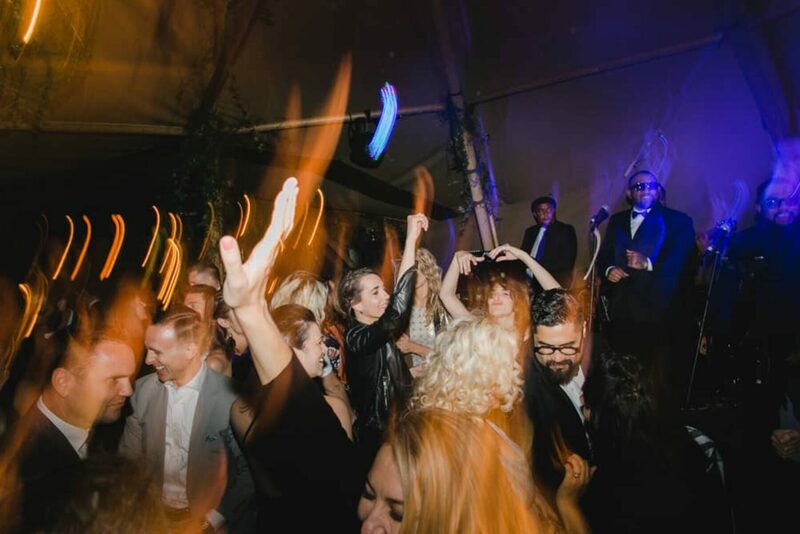 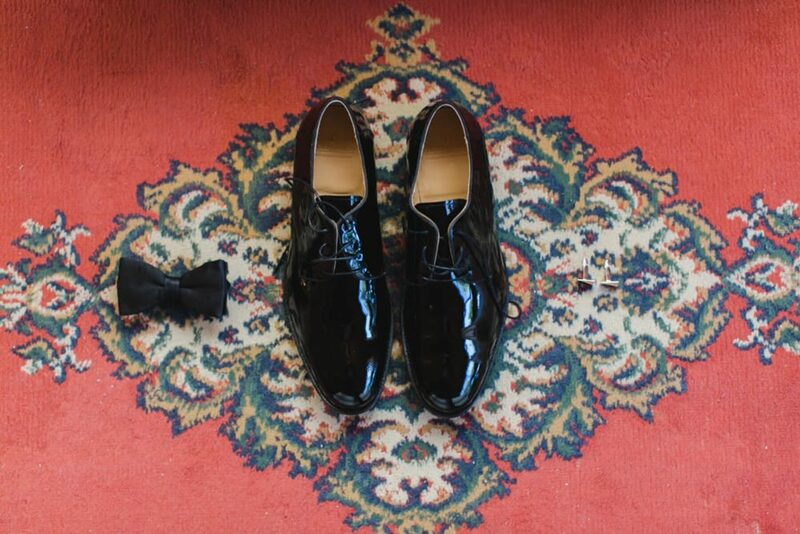 Our lighting has featured heavily in this wedding. 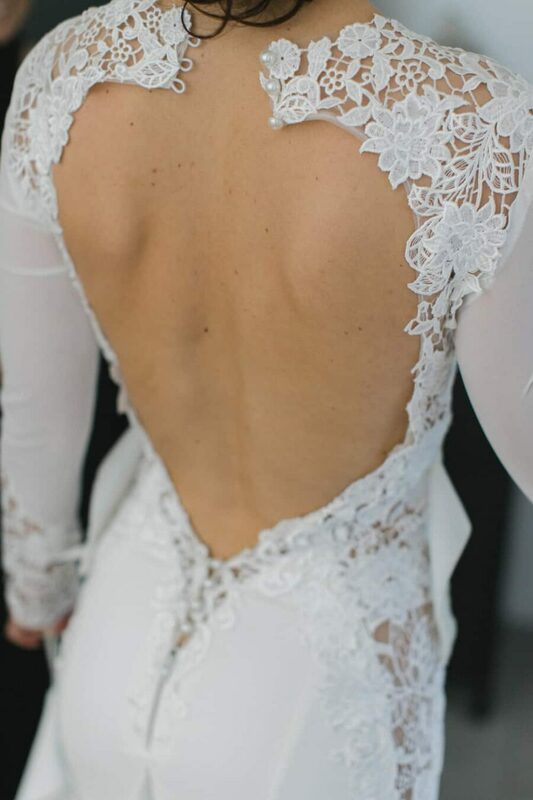 Please credit us.